Neck pain and unexplained headaches can interrupt your day, interfere with sleep and last for several days without explanation. Neck pain especially, can turn into a long term issue without proper attention. Predicting the pain and suffering by educating ourselves on common causes and change our habits to prevent them is the only way to make headaches and neck pain a thing of the past. The neck is attached to the spine which controls the entire body and so when your neck isn’t quite right, every part of you can suffer. There are so many things that can cause neck pain. Some of them are common and easy to understand, but others may surprise you. Keeping these things in mind can help you predict when you may be doing something that results in neck pain. Sleeping in a poor position is one of the most unintentional and aggravating causes of neck pain. It’s ironic that positions we think are comfy and perfect for watching television or reading in bed are actually the culprits. When we fall asleep like that, we pay for it in the morning. Most pillows prop the head up, holding the neck in the worst position. The head doesn’t need a pillow. Only the space behind the neck needs cushioned to support the natural curve and position it is meant to be in. For these reasons, a rolled up towel or thin, flat or capsule shaped pillow under the neck is all that’s necessary to keep the spine aligned and happy. We can’t assume the body will wake and adjust when positioned incorrectly. This isn’t just true for sleeping. If you always sit on your sofa with one foot tucked underneath you or lean to one side when knitting, your spine is not aligned and irritation will follow. Examine your home and consider the height of the sink where you do dishes or the distance and weight of things you often reach for, to see that they are not doing damage to your body over time. Things can happen during activities, sports or just a routine day, when we aren’t paying attention to our movements. Moving too quickly or pulling the neck in a way that is not a natural movement can leave a pulled tendon or aching muscle behind. The only way to prevent these unfortunate mishaps is to really pay attention to our actions and try and practice a careful existence. There are plenty of wild things the body can do, but we must avoid the things that it cannot. If you’ve never woken up with a pinched nerve in the neck, consider yourself lucky. Pinched nerves are probably the hardest to predict or prevent, but it always goes back to sleeping right and watching our movements. There are really only a few ways to alleviate a pinched nerve which include having treatment from a skilled hands on physical therapist, relaxing the muscle with alternating heat and cold and of course, waiting patiently for the pinch to work itself out. Neck pain can be accompanied with aching shoulders when we’re guilty of poor posture and especially when we sit or stand in these types of positions for extended periods of time. This may be the easiest to remedy, since we know exactly what we’re doing wrong. Other than paying attention to the way we carry ourselves, do make sure that your desk, chair or other environment details are ergonomically correct and not contributing to the problem. Headaches can be seriously debilitating, stopping us from being able to work, drive and otherwise function throughout our typical day. We don’t want to be around family and friends, we can’t give our children and pets the attention and energy they need. Some headaches can actually keep you confined to bed in the dark and quiet. That’s no way to live. 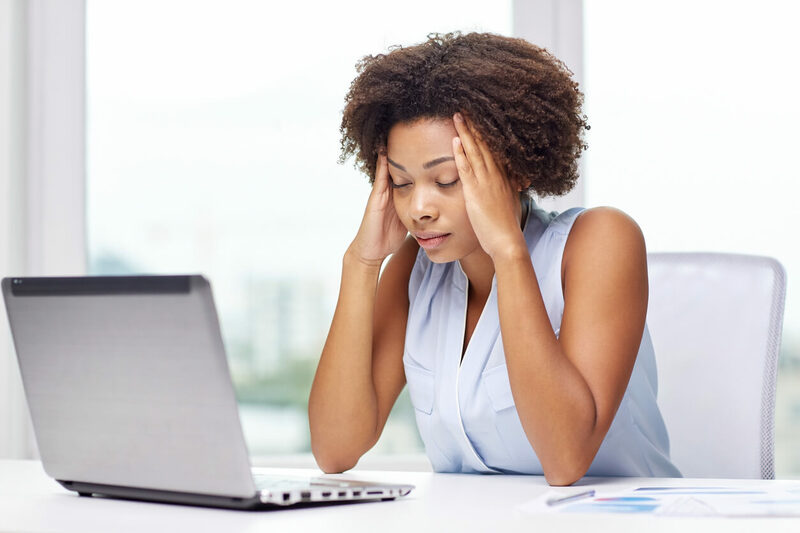 See if any of the situations below resemble an activity or environment that you can recognize and predict a headache might not be far behind. Because our head houses our brain, unlike the black and white logic of a muscle or limb, there can be emotional and other non-physical issues that cause headaches. Things like anxiety, stress, lack of sleep and depression or grief can cause horrible headaches that it may seem are impossible to escape. Headaches can still be caused by physical issues as well. A headband or other hair accessory that is too tight or presses too hard or sits in one place on the scalp for too long can cause a headache that encompasses the whole head. Ponytails and hats can also have a similar effect. Sometimes headaches occur for unknown reasons. There are things going on in the body that we can’t always explain. The key in these cases is to recognize the signs. Any headache begins long before we start to feel it, but there are subtle symptoms that hint that a headache is coming. Identifying the clues and stop what you are doing. Whether your go-to cure is pain medication, a cup of tea or a quiet, quick nap, make erasing that headache a priority, so that it doesn’t grow and ruin more of your day. Headaches and neck pain can be more than a minor irritation. Left untreated, they can become chronic conditions that seriously affect your quality of life, energy and effectiveness. Take some time to consider the causes and how you can increase awareness during your daily activities and interactions. Look forward to the day when you can’t recall the last time you were suffering from a headache or neck pain. Due to popular requests from our patients, I will be hosting the Neck Pain and Headache Workshop here at our office coming up soon. I have room for 20 attendees only. If interested, click here to register.